Yesterday was a national holiday in Myanmar, which meant that I had time to do a little more exploring for somewhere to live in southern Thailand. I took the speedboat from Ranong over to the island of Koh Chang (350 baht each way), plus another 100 baht motorcycle taxi from the jetty and over to Ao Yai, which is the 'heart' of activity on the island. 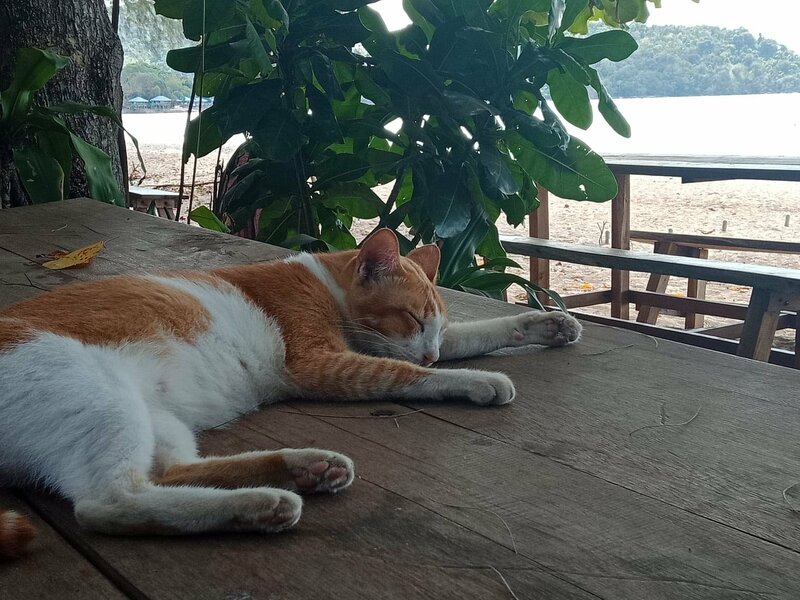 Despite being only about 30 minutes by speedboat from Ranong, I have to say that Koh Chang was about 10 times more rural than the most remote areas of Issan or Burma that I've visited!! Beautiful, idyllic but definitely too rural. Ao Yai consisted of several dozen ramshackle wooden huts, with almost no concrete buildings, except for the local, basic temple. The 4g mobile internet signal was good! (Plus point). But electricity is only from solar or generator. No cars, no large shops, no hospital etc etc. The only foreigners seemed to be aging German hippies. I was offered a basic wooden house to rent long-term at 15,000 baht a month. (I currently pay 5,000 baht each month for a property in Ranong). I was offered a basic wooden house to rent long-term at 15,000 baht a month. Crikey! You could probably have one built for not much more than that. Visited Little Koh Chang couple years ago and as the OP reports, it's perfect for the aging hippie who wants to smoke the Wayout Woodbines. Very little internet on the island. Aren't the beaches a little muddy being so close to the estuary of the Kraburi River? Do you mean you or me? If me, then I've lived in many rural areas of Thailand (Nong Khai, Isaan, north Phuket, Phang Nga etc etc), as well as several years in rural Burma, and am very used to the remoteness of some areas. But this time I'm looking for somewhere that is rural but still has the basic modern amenities, such as a mini-mart and local clinic. Electricity would also be nice, as would the opportunity to drive my car. Can't achieve that on Koh Chang.